BUYERS: Is driving in Spain easy? 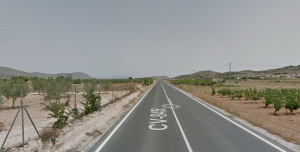 Especially for clients coming from the UK where the steering wheel is on the right of the car and you drive on the left hand side of the road, it can be a daunting prospect driving in Spain for the first time….. However, not all is lost. Our Two Minute Tuesday video about driving in Spain will put your mind to rest. The roads here are smooth, flat, pothole free and have very little traffic on them. Take a look at the video to give you a little peace of mind. BUYERS: What is the maximum build footprint on RUSTIC land? Please remember that each Ayuntamiento has its own interpretation of the laws, however the new Valencian planning laws of 2014 now also take into account ecological and environmental considerations as well. Unlike urban land, where the rules are laid down by the local town hall, in this case it is the regional government who makes the rules regarding the minimum size of the building plot in rustic areas. For example the Regional Government of Valencia clearly state that the law requires a minimum area of 10,000m2 for any building to take place on Rustic land. Other Regions may vary so it is wise to check with your local Town Hall at the very start of your search for a suitable plot. However, rustic land may then be further sub-categorised into three different classifications: Protected, Restricted or Building land. So it is not always the case that just because the plot is 10,000m2 or greater that you will be able to build on it. Once again, these categories are shown on the General Plan available in the local town hall and should be checked before any agreement to purchase is made. This is always fixed at 2% of the plot size – So on a plot of 10,000m2 it is possible to build the ground floor to a maximum of 200m2 Total Build Area This is always fixed at 4% of the plot size. On a plot of 10,000m2 it is possible to build two floors each of 200m2 making a total constructed area of 400m2. It should be noted that these are the maximum areas of occupancy and construction can exclude a cellar, (which may be the same area as the ground floor,) terracing, porches/pergolas and a swimming pool. Aesthetic appearance As you might expect, in order to maintain a traditional country house effect, properties built in rustic land need to be built to fit in with the surrounding properties and the general area. For example you would be unlikely to get permission to build a Modern Glass Fronted Ibizan style Villa on an Inland or rustic plot. Traditional inland rustic houses are commonly known as Finca’s and are either clad in stone, or constructed entirely from stone. Rules regarding aesthetics are laid down by the Town Hall and therefore vary from area to area. Some Town Hall’s may have strict rules concerning the direction of the roof-line, types of windows permissible, number and dimensions of arches, materials of construction etc… whereas other towns may have less rigid restrictions – if Indeed any at all. Despite the above, there are now many more modern architect inspired villas being built and these do surprisingly blend in with the features. Both clients, builders and architects are looking towards the environment and sustainability when designing and building new properties. BUYERS: Avoid under declaration Fines.... What you need to know! Until recently it was fairly common practice in Spain to under declare the property price at the notary in order to reduce the purchase tax when buying. It used to be common practice in Spain to pay a certain percentage of black money when purchasing a property and was almost an accepted part of purchasing a property. If the property cost 200.000€ then it was agreed between the buyer and seller that they would declare a certain percentage to have as the figure on the deeds and the rest would be paid as cash….. Which was known as black money. Why did buyers and sellers agree to this……. The simple answer is to avoid tax. The vendor would agree to it if they had made a profit on their property in order to avoid capital gains tax on the profit that they had made. This is called INCRIMENTO PATRIMONIAL. The perceived benefit for the buyer is that when you purchase you pay the government 10% tax on the purchase price. Obviously the lower the price declared, the less tax you pay…… however I used the word “perceived” in this statements and I will explain that later. Fortunately these days of “black Money” are long behind us and this is due to the financial crash reducing house prices and not many vendors having to pay capital gains tax, buyers becoming more savvy, the new breed of estate agencies wanting their clients to have clear and transparent transactions and perhaps most importantly the tax office who are called the Hacienda in Spain are no longer turning a blind eye to the issue. So let me explain why it is always best to show a true reflection of the property price when declaring it at the notary. You do not want to be moving to a foreign country that you hope to be your home and the first act is to defraud the tax system. I am sure you do not do this in your home country so why would you want to do it here. If the tax office believe you have under declared the sale price of your property you will have to pay the under declaration which is 10% of the difference between the under and actual price, plus a hefty fine. Remember I used the word “Perceived“….. now pay attention: If you under declare today you will save 10% tax on the purchase cost, however this will come back to bite you in the future as your deeds will declare the under declared price when you sell. Hopefully you will make a nice profit on your property when you sell, however if you have under declared this profit on paper will look even bigger and you will pay capital gains tax at 19-21%. You you save at 10% and pay at 21% in the future….. Not a good deal in anybodies books. If you pay under declare the property by 50.000€ and pay “Black Money” your deeds will show that you paid 150.000€ for the property and you will avoid tax of 10% of 50.000€ which equates to 5.000€. However you run the risk of being caught by the hacienda and you will have to pay the tax owed, interest and a fine. Quite honestly neither is the risk worth it or in the long run or do the mathematics stand up as a good business decision. So how does the hacienda know that you have under declared ? They have a rough estimate as to what each house is worth taken by council tax valuation formulas and this is called the catastral value, which is similar to the rateable value in the UK, as well as geographical sales data. However this is not 100% accurate and does not take into account that you could have got a genuinely good deal, the vendor may have been very keen to sell, or your property needed a lot of renovation in order to bring it up to the area standard. Not all is at a loss though. If you have genuinely paid the full price for the property and not been involved in any under declaration then you have little to fear. Along with the support of your lawyer and agent you will be able to show that you have paid the correct price for the property. The agent will be able to show the price the property was advertised for sale. You can also show the price similar properties have also been sold for. If the property needed renovation you can show photos/ or video as well as tax receipts for all works undertaken to bring it up to standard. You will be able to account for the funds to purchase the property. With a little persistence and tenacity on your lawyers behalf you can have the judgement overruled. Always ask your agent if there is a danger that the fabulous bargain of a property you are purchasing is liable to fall foul of under declaration and again check this with your lawyer prior to purchase. Very shortly we will feature this topic in our Two Minute Tuesday video blog for buyers and sellers so please make sure you tune in. BUYERS: So what is the weather like in Hondón? We are asked this question by every single one of our clients. 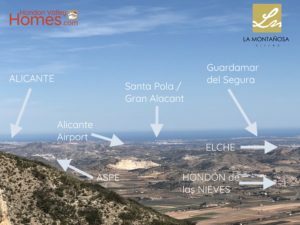 Other than the location and natural beauty of the area one of the biggest factors in choosing to move to Spain and especially the Hondón Valley is the climate. 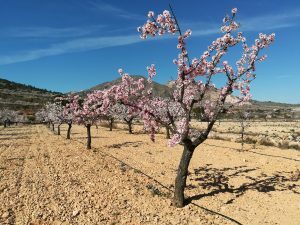 The Valley enjoys a little very climate throughout the year with a long and hot summer with the temperature in the thirties, my favourite time of the year in Spring and Autumn with the temperature in the twenties and a short winter when occasionally you dip into single figures. You will not need windscreen ice scrapers and snow shovels in the winter, but you will change from shorts and short sleeved shirts to something a little warmer. Most of the rainfall will be in February to April and after that very little throughout the year unless there is a big downpour or thunderstorm. You can expect little or no rain between May and October. BUYERS: Is electricity expensive in Spain? It is a common question I am asked weekly by clients either viewing, purchasing or renting. The answer as normal is a little complicated. Gas is not as common place in Spain as it is in the UK or northern Europe, so most heating and all cooling is done using electric. Most household appliance are also cold fill (dishwashers/washing machines) and they heat up the water rather than taking a hot feed. So your actual usage of electric is likely to be higher due to the majority of your energy consumption being electric based. There are however ways to mitigate this. There are day and night tariffs where you receive cheaper electric depending on the time of day. As I write this in the Spring, I benefit from cheaper electric with my supplier Iberdrola from 11pm to 1pm the following day. I run my washing machine, dishwasher, hot water heater and swimming pool pump during this low rate period. You can fit a gas oven that works from gas bottles that are cheap to buy and many people have gas hot water heaters. It makes a real difference and for once you can watch you bills drop. Modern air conditioning is much cheaper to run than older units. They are cheaper to use to heat than cool as well. I have a log burner for the winter months and 250€ of wood heats the whole villa for the entire winter. And the best advice…… ditch the electric oven and get outside and have a BBQ. Over 300 sunny days a year…make use of them. BUYERS: Safe Buy Spain - Your Trust in Our Hands. Hondon Valley Homes are one of the founder members of Safe Buy Spain. We set up this group as we were tiring of the underhand tactics used by some local agents when dealing with both buyers and sellers. We wanted to initiate a group of like minded agents who like to operate above the accepted standard, a group of legal, tax paying agents who have been established for a minimum of 5 years and have an impeccable record in customer service and satisfaction. It is unlikely that you will find many leasehold in this part of Spain. When you purchase a villa or house you purchase the land that the property is located upon, however if you buy an apartment, you buy the walls, the floor and the ceiling and balcony. BUYERS: How long does it take to buy a Spanish home? Our quickest completion was 10 days from viewing to completing and the buyers moving in. This could only be accomplished with the assistance of both sets of lawyers who worked in tandem, and of course the sellers who fortunately had alternative accommodation arranged. The normal duration from an offer being received through to completion ranges from 4 weeks on the quick side through to 12 weeks plus. I would estimate that 6 weeks is the norm, however the completion date is a mutually agreed date that is not only convenient for the buyers and sellers, but also that the buyers lawyer is entirely satisfied that the property is 100% correct and ready for completion. Our advice is to make the agent, vendors and your lawyer aware of the timeframe as soon as you can so that everybody is working towards a shared goal. BUYERS: Do I need a Spanish bank account? Not necessarily so for the purchase, but you will need to open an account in Spain following completion. Most of our clients transfer the funds to purchase their property into their lawyers client account. This is both cheaper to do and easier than transferring first into your own account in Spain and then to the lawyer prior to completion as it will save you on bank charges. On the day of completion the lawyer will do all the transfers to pay the vendors, fees and taxes. You will need a bank account however to pay your utility bills, internet, mobile as well as council taxes etc. We can assist you opening an account locally as we have excellent connections with the banks in Hondon and we can even arrange for the account to be in the language of your choosing. BUYERS: Tell me about the Hondon Valley? So why should you choose the Hondón Valley? Rather than read about it why not watch one of our Two Minute Tuesday video blogs explaining why the discerning buyers from all over the world are choosing to make the Hondon valley their home. The Hondon Valley in relation to coast, airports and cities. BUYERS: Research is the Secret to Successful Property Buying in Spain. Research, research and then research a little bit more. You may be well aware of the ins and outs of the property market in your own country, however although similar there are subtle differences in Spain that can make a big difference to you as a potential purchaser. When you buy a new TV you can do hours of research. You read reviews, go on forums, watch tv tech shows, you can even watch somebody unboxing and reviewing items online. The point is that when you make the decision on which TV to eventually purchase you have all the facts, specifications, reviews and prices available to you…….. and yet, I often have clients coming over to Spain with budgets of 2,3 or even 400.000€ who are embarrassingly lacking in knowledge on what may be one of the biggest investments you are ever likely to make. So what areas should you be doing your homework on…. Take a look at our article in the blog section covering all the important aspects of the research you need to undertake in order to get it right the first and only time. BUYERS: The NIE.... What is is, Why do I need it and Where can I get one? The NIE number is a tax identification number for foreigners and stands for the número de identificación de extranjero. If you want to read more about the NIE please follow the link below for our full article on the NIE in our blog section or the link to Steven explaining the NIE number in our video vlog Two Minute Tuesday.